This particular image isn’t entirely aligned with the vision of Melkor’s first incarnation within Arda, he comes amongst the other Valar in a form “dark and terrible”, but is hearkening back to Varda’s knowing of Melkor before the music and having rejected him. There is some ambiguity as to what sort of rejection, romantic or otherwise. I think the idea of Manwë and Melkor being “as brothers” in the mind of Illuvatar and Melkor’s spurned love ending up with his “brother” is an interesting one. 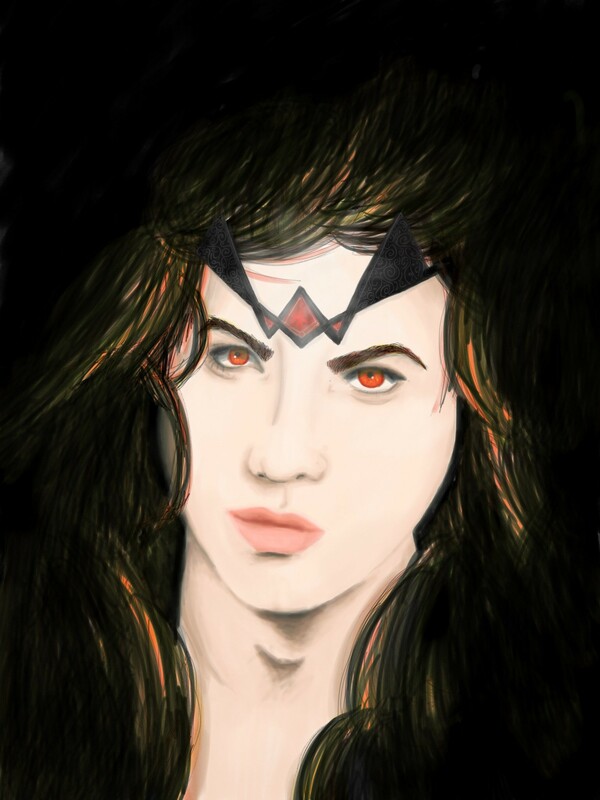 Even though Melkor is the more powerful of the two, it cannot grant him fulfillment of all of his desires. It’s a little melodramatic, and I’m sure has spawned a thousand fanfics, but is not without merit. Melkor, later Morgoth, is usually associated with the darkness. There is, however, reason to read the 3 “great” Lords of the Valar as alchemical elements which would place Melkor as fire. One big hint for this is the type of Maiar each Valar is associated with. Ulmo, who is unarguably associated with water has Ossë and Uinen, Maiar in charge of the tides and storms upon the seas. Melkor’s Maiar are the Balrogs and Sauron. The Balrogs are all fire spirits, although tainted with darkness — Gandalf describes Durin’s Bane as being “shadow and flame” — however not all of the fire spirits are tainted with that darkness, the sun is held by a Maiar of Melkor who defied him. It’s a little glimpse into what could have been had Melkor not fallen.